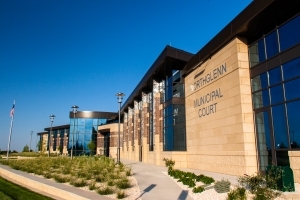 Northglenn, CO | This new 47,600 SF combined Police Department and Municipal Court building was constructed to replaced the outdated facilities for both the Northglenn Police Department and Municipal Courts. 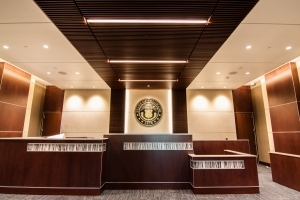 This new two-story building allows for the two divisions of the City to sufficiently house public and private areas on separate floors, including holding cells, courtrooms, evidence storage, laboratory offices and conference spaces. 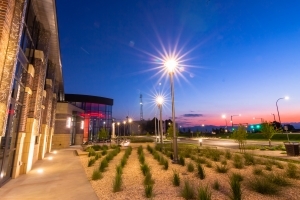 Located at a high point in Adams County, CO, overlooking Interstate 25 near 112th Avenue, the new facility is a state-of-the-art building constructed for many generations to come. 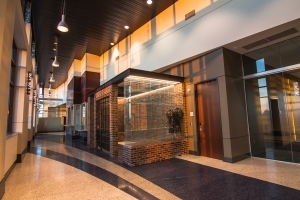 FCI led a full BIM coordination and virtual construction effort prior to construction, bringing architectural, structural steel, MEP, and fire sprinkler together to check for constructability issues.